Maslon is pleased to announce that attorney Melissa Muro LaMere has been appointed by Minnesota Governor Tim Walz and Minnesota Lieutenant Governor Peggy Flanagan as a fourth judicial district member of the Commission on Judicial Selection. In addition, Maslon partner Keiko Sugisaka, who was originally appointed to the Commission in 2016 by Governor Dayton, has been reappointed and will continue to serve as a member under Governor Walz. The Commission on Judicial Selection solicits, considers, and recommends candidates to the Governor for vacancies in the District Trial Courts and the Workers' Compensation Court of Appeals. It is a joint Commission, appointed by the Governor and the Supreme Court, made up of nine at-large members, including the chair, and four district members from each of Minnesota's ten Judicial Districts. The Administration's appointees include thirteen people of color or indigenous people, sixteen women, and seven incumbents. "We can't have justice without diverse and inclusive courts," said Governor Walz in the Office of the Governor's official announcement. "Today's announcement is part of our continued commitment to equity. I thank today's appointees for volunteering to serve in the incredibly important role of reviewing and recommending candidates for our District Trial Courts and the Workers' Compensation Court of Appeals." To read the full announcement from the Office of Governor Tim Walz, go to: "Walz, Flanagan Announce Appointees to the Commission on Judicial Selection." Melissa is a business litigation attorney who enjoys working with clients to protect their business assets in a competitive marketplace. She focuses her practice on employment matters and business disputes involving non-competition and non-solicitation agreements, trade secrets, business contracts and torts, and unfair competition and trade practices. 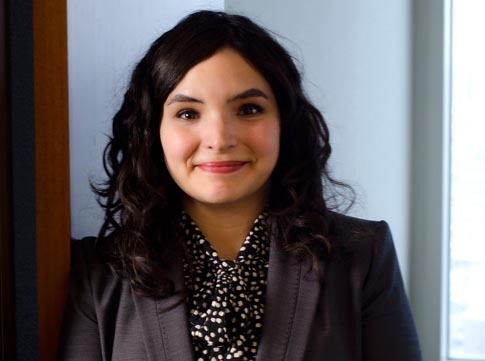 Melissa also maintains a robust pro bono practice, primarily serving as counsel to the American Civil Liberties Union of Minnesota in litigation involving individual constitutional rights and government transparency. She serves on the boards of the Minnesota Hispanic Bar Association, for which she is also the current co-chair of the Judicial Endorsements Committee, and the Minnesota Infinity Project, an organization focused on gender disparity on the bench throughout the Eighth Circuit. Melissa is a member of Maslon's Diversity Committee, co-chair of Maslon's Diverse Attorney Resource Group, and is recognized as a 2019 "Top Lawyer Under 40" by the Hispanic National Bar Association. Keiko is a trial lawyer, concentrating her practice primarily on product liability, complex business, and intellectual property cases, including consolidated and multi-district litigation. She has broad experience successfully representing clients in federal and state courts nationwide involving product liability defense; patent, trademark, and copyright infringement; director/officer liability; trade secret misappropriation; unfair competition; and commercial disputes. 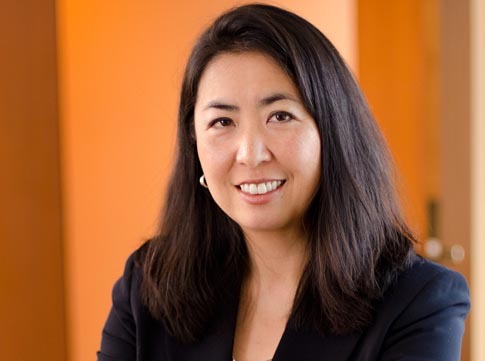 Keiko also has extensive experience in all stages of complex and large-scale discovery and e-discovery issues. At Maslon, Keiko serves on the firm's three-person Governance Committee, which manages the firm. She is a member of the firm's recruiting committee and co-chair of its Tort & Product Liability Group. In addition, Keiko is a member of the firm's technology committee, diversity committee, and Maslon's member representative in Twin Cities Diversity in Practice, a nonprofit association comprised of Twin Cities law firms whose vision is to create a vibrant and inclusive legal community.